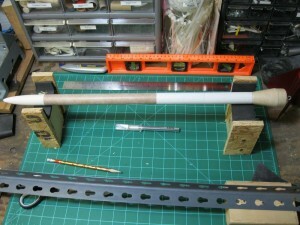 CPG Aeronautics.... » Artemis V payload section progress…. 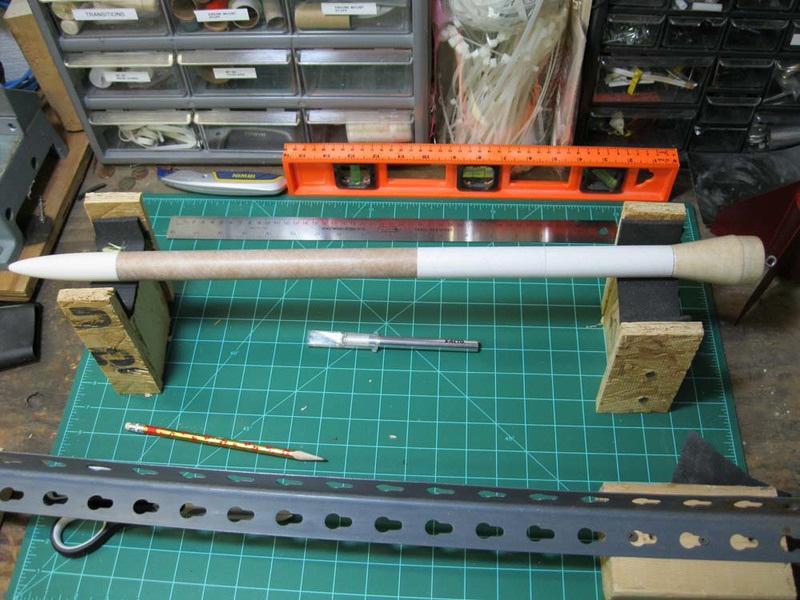 Artemis V payload section progress…. The upper payload bay that constitutes the Artemis V launch vehicle configuration is close to being ready for flights. 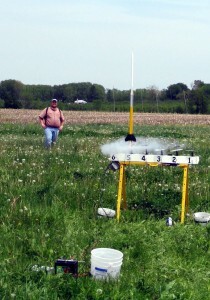 Artemis-V Mission ALS-008 takes to the sky. Andrew the MTMA Vice President Andrew Kleinhenz watches from the field. On missions ALS-008, 009, and 010 the upper payload section was a boilerplate (a mock-up) intended only for aerodynamic performance tests under various launch scenarios such as launching at an angle into the wind, launching 100% vertical assent with a cross-breeze, etc. Artemis V payload section under construction. The actual Artemis V payload section under construction is equipped with provisions to house Altimeters, and an antenna to support radio telemetry. A 4.5 volt power supply system is also being developed to power these electronic experiments, along with an alternate camera battery based electrical system. Artemis V mission ALS-013 will test the power supply systems under flight conditions.